When we first meet friends Laura, Jo, Eve and India they are meeting up on a gorgeous spring day in May to celebrate India's birthday. However, what should be a champagne fueled catch-up turns into something horrific when a passer by has a heart attack at the wheel of his car, careering into pedestrians and leaving a trail of destruction in his wake. Whilst the four friends are not physically affected, the event looks set to change their lives in ways in which none of them could have ever imagined. 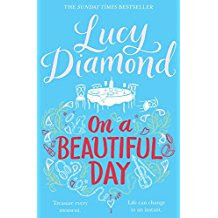 It leads newly-divorced Jo to throw herself into a new relationship, for seemingly happy-go-lucky Laura to realise exactly how much she wants to have children, and for control-freak Eve to step back and realise the importance of her health after avoiding seeing a doctor, despite finding a lump in her breast. Then there's India...Seemingly happily married with three children, when she discovers the name of one of the victims of the accident her world looks set the turn upside down. But why is she so drawn to teenager Alice Goldsmith? 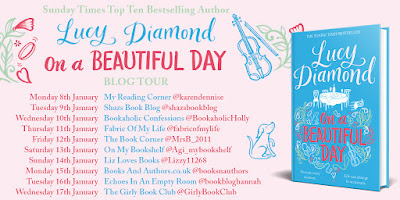 I am a Lucy Diamond super-fan. 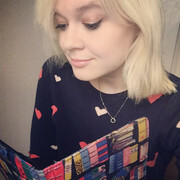 I just flipping love her books; they provide me with excitement, laughter, tears, suspense - everything that a good book should have. It is based on such a fascinating concept and one that really gets you thinking. India, Jo, Eve and Laura are trundling along just fine, or at least they appear to be on the surface. It is not until this life-shattering event unfolds before their eyes that they come to realise that their lives aren't as plain sailing as they first thought. They are all such relatable characters, and ones who are experiencing something that all women will go through in some shape or form at various points throughout their lives, whether it's relationships, fertility, families or health concerns- we've all been there at some point. Watching these women venture on the journey's that are set in motion was absolutely fascinating, and the thing I enjoyed most was seeing the indestructible bond of friendship shine through. My heart broke for Laura as she discovered that she and her husband weren't on the same page with their hopes for starting a family. Then when the company that she works for announce they are launching a beauty range for expectant mothers life seems to be taunting her and she feels as though her whole world is crashing down around her. I really loved Eve. Dedicated, hard-working and always on the ball, the discovery of a lump in her breast makes her realise that she is only human...and despite her facade is actually terrified of seeking medical advice in case the result is one she doesn't want to hear. India was probably my favourite character and the one who intrigued me the most. I was desperate to find out what her connection to crash victim Alice was. Who was she to India? I had an inkling and couldn't wait to discover as to whether my guess was correct. Lucy has created a wonderful set of protagonists here. You will quickly come to love them all and follow their individual stories with interest and genuine care. I feel as though I have blabbered on about these characters way too much already, but I think that demonstrates what an impact they had on me. 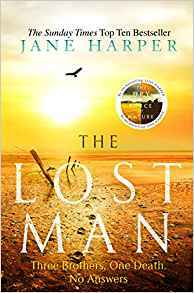 She is also writing about some pretty serious topics within this novel and she handles these sensitively and realistically. Not once does she brush over the underlying issues or portray certain events through rose-tinted glasses and I love this about her novels. There's no cliches or saccharine happy-ever-afters, but genuine women, genuine events and genuine feelings. This makes Lucy's books jam-packed full of heart and emotion- something which you certainly feel full pelt when reading On a Beautiful Day. There are so many themes centered around this story, but the message I have taken from it is to try appreciate every day and every moment. It also pulled me up short on how one event be the catalyst to change your whole life & just how scary that can be. I also took away the fact that you should never underestimate the power of friendship. 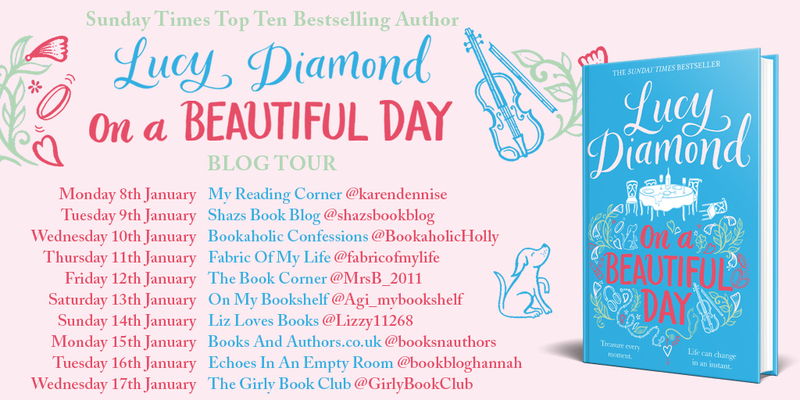 A huge thank you to Katie at Pan Macmillan for the opportunity to be a part of the blog tour for On a Beautiful Day.